Although Francis has expressed these sentiments because of his deep respect for human rights and for the Jewish people and tradition—and not because of our friendship—his ability to empathize with the heartache of others was a great gift that often enriched our dialogues. This is the message I hope to bring to Abu Dhabi. Striving for authentic friendship and peace through dialogue is not pursuing an illusion. Actually, it is the destiny of human existence. Bottom line is the Jews will only find salvation in Jesus. Apparently, you are unfamiliar with the dogma of Extra Eclessia Nulla Salus? 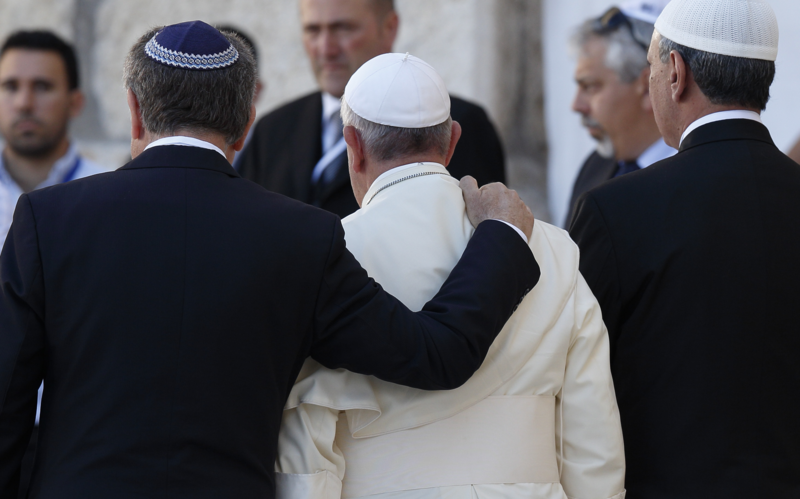 Rabbi Skorka and Pope Francis lead by example. Thank you! The only legitimate objective of "interfaith dialogue" is to convert the non Catholic to the one, true Church. Anything else is just banalities. I remember Jesus said exactly the same thing when He engaged in interfaith dialogue throughout His life. Carrying the aspirations of the people to the dialogue table can be a good starting point. This article also appeared in print, under the headline "A Pope and a Rabbi in Abu Dhabi," in the February 4, 2019 issue.